It’s crunch time as state lawmakers have less than a week to pass a budget and close a $6 billion deficit before the end of the current legislative session. This Herculean feat became even more complicated when House Speaker Michael Madigan unveiled Monday a new budget proposal that’s at least $3 billion short, a maneuver some observers say is designed to force Gov. Bruce Rauner to make unpopular cuts to social service programs or raise taxes. But that plan carries its own risks, as Rauner could veto the plan and blame Democrats for not passing a balanced budget. 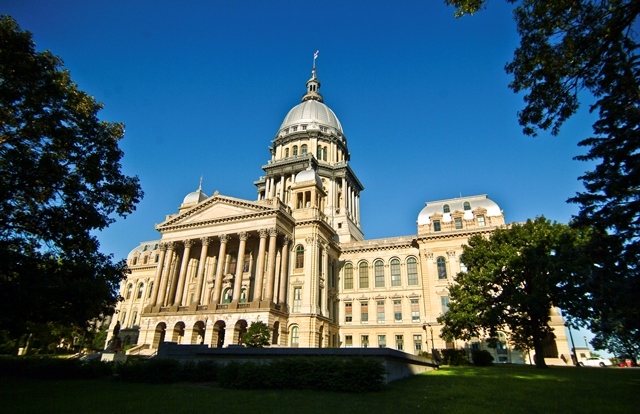 We’ll talk with Chicago Tonight Springfield reporter Amanda Vinicky about the Democrat’s budget plan and how likely lawmakers will be able to pass a budget before the Sunday deadline. On Monday, Madigan discussed the FY2016 budget and announced a new proposed budget during a press conference. Watch the video. "Speaker Madigan and the politicians he controls are walking away from the negotiating table and refusing to compromise on critical reforms needed to Turnaround Illinois. Instead, they appear ready to end the regular session with yet another broken budget or massive tax hike -and no structural reforms. The Speaker and his allies in the legislature are sorely mistaken if they believe the people of Illinois will accept doubling down on a broken system that has failed Illinois over the last dozen years."